German startup Tado yesterday unveiled an Internet-connected device that makes almost any remote controlled AC smart. 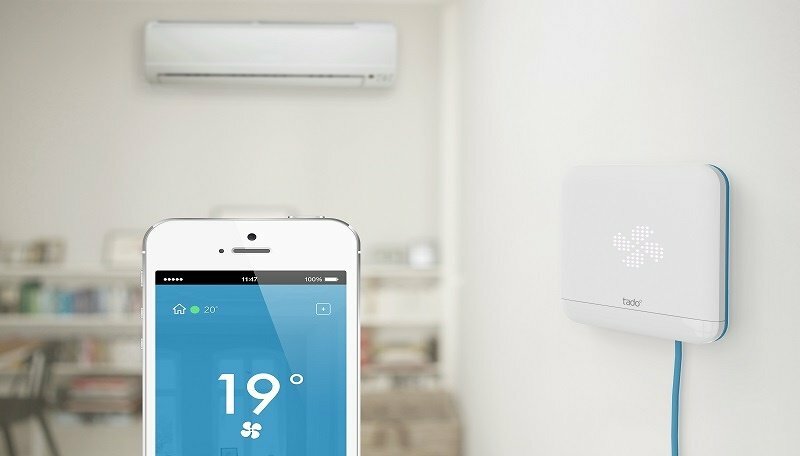 Dubbed Tado Cooling, the device sits on your wall, provides and interface between you and your AC, and and can be controlled by an iOS or Android app. This isn't the company's first product. Back in 2012, Tado challenged Nest when it started selling its smart thermostat, and according to CEO Christian Deilmann, the company is still getting a few thousand orders every month. They've previously raised $2 million in venture capital from Target Partners and Shortcut Ventures. But this time around, the company has taken to crowd funding platform Kickstarter to launch the new product. “Right now the product is working, but before we go into mass production, we want to see what is the demand, how many units we need to build… Kickstarter can do all countries [at once]”, Deilmann said. Just like the original system, Tado Cooling also uses smartphone location tracking to sense your whereabouts, so that it starts cooling just before you reach home. Similarly, it turns off the AC when it senses that the last person has left the house. The new device, which connects to the internet through Wi-Fi, is also capable of performing room-to-room tracking via Bluetooth Low Energy, iBeacon, and light and motion sensors. This means that the device is smart enough to turn the AC off when no one is in the room. The device doesn’t rely solely on the accompanying app, it has a capacitive touch screen surface with a translucent matrix LED display so you can make manual adjustments. Although Nest can also be used to control AC, it's limited only to central units. On the other hand, Tado Cooling works with any remote controlled air conditioning system including window, wall-mounted (split), and free-standing, as it communicates with the unit via infrared. The cooling box has a targeted retail price of $149, but the first 500 backers can bag it for $69, and $99 subsequently.